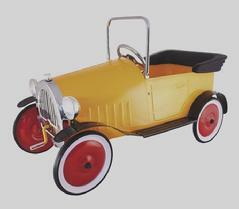 Super nice original, but restored 1950's Skylark Pedal Car. 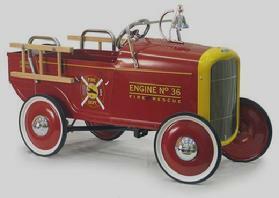 This car has no dents - Do not let this Restored Pedal Car slip away from you. Has all of the hub caps - all the decals. The pedal & steering works great. All of the tires have great rubber. Over all - super nice car in great condition. VERY RARE Restored Skylark Pedal Car.